Japanese architects Saturn are experts when it comes to smart design solutions, which translates beautifully in the homes that they create. Today at homify, we are going to look at one such design, which shows just how innovative and gorgeous architecture can be. Steve Jobs once said, Simplicity is the ultimate sophistication. Today we will find out why! If we look at the home from the outside, we can see how smart and stylish it is, while remaining small and compact. Who says that dynamite doesn't come in small packages? From this angle, we can see how the home spreads over two storeys, with a simple grey facade. 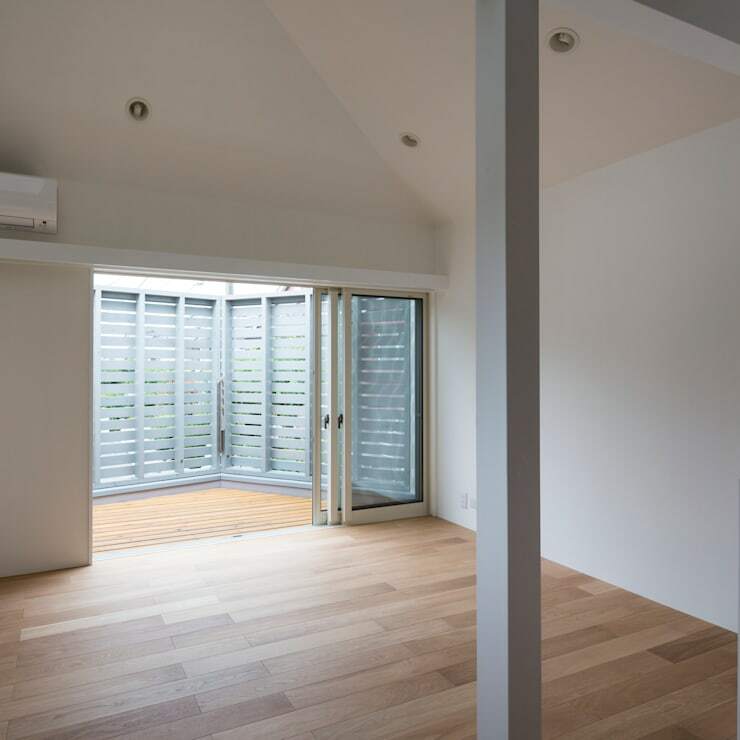 The bottom floor features plain, plastered grey walls while the upper storey features grey slatted wood, which offers the home a bit of privacy while still allowing natural light to filter into the space. 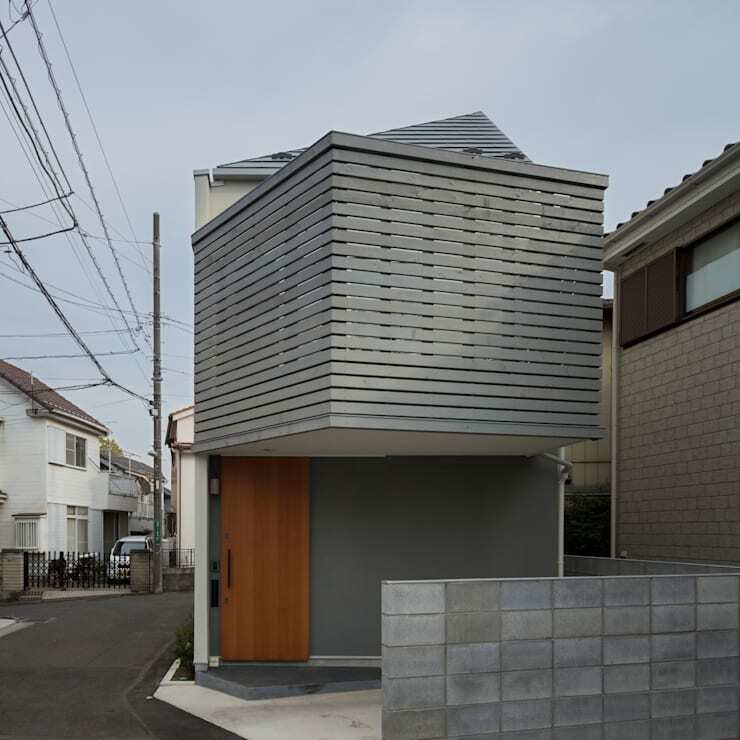 The grey facade contrasts beautifully with the light and simple wooden front door. Neat and minimalist! From this side, the home takes on a whole new shape! It looks like an ice cube. 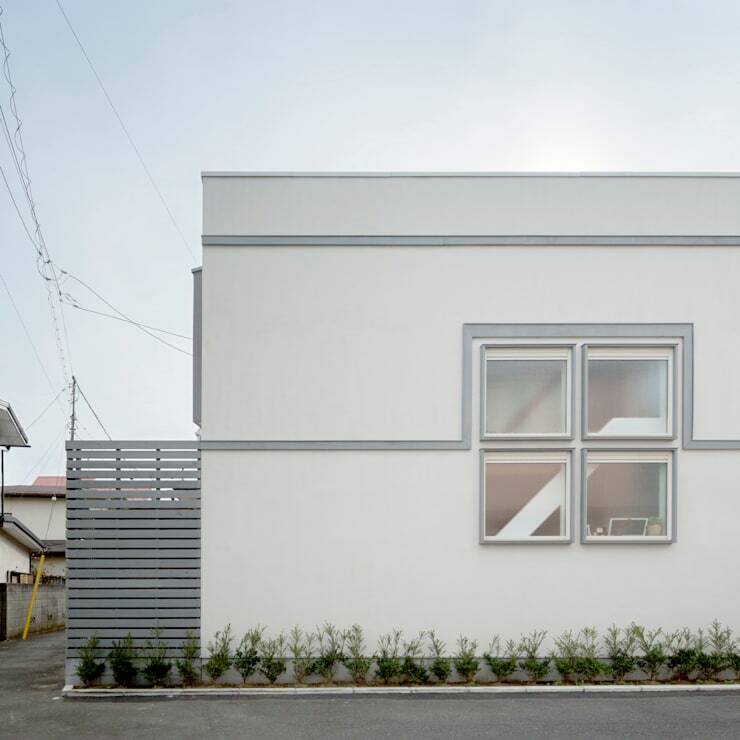 We can see just how compact and quaint the home is as well as how the designers have introduced white into the facade, which works in harmony with the grey finishes. We can see that windows are prominent in the design, creating an easy transition between the interior and exterior spaces. Even the smallest and most compact design needs a touch of nature! The house is lined with a gorgeous row of green plants, which adds a lovely and subtle form of decor to the exterior design. If you like the exterior of this home, you'll love this home: bare, brilliant, minimalist magic! If we go inside the home, we can come across an open plan kitchen and living area. The interior design is very modern and chic. Light wooden floors complement the white walls and white kitchen cabinets. The designers have added a touch of colour in the form of a caramel wall on one side and a splash of green in the form of shelves above the kitchen counter. This is a great design tip, especially for a smaller home. Rather than overwhelming a small space with too much colour, simply add a splash here and there. In this image, we can also see how natural light plays such a prominent role. Remember that no matter how small your home is, natural light will open it up and make it seem that much brighter and more spacious. 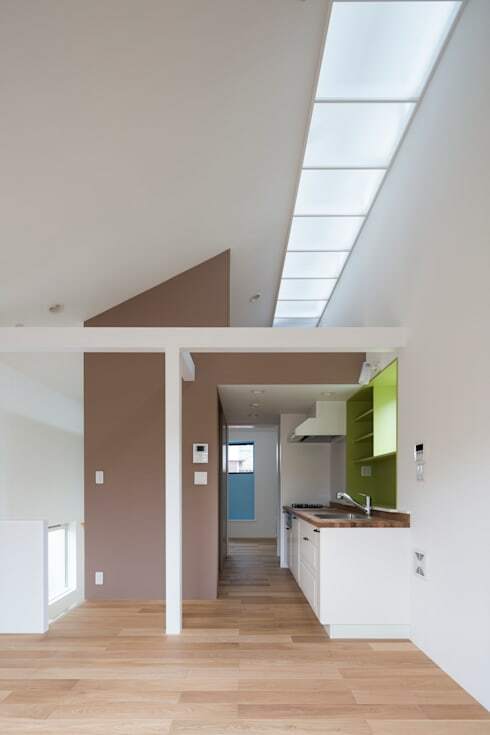 For this reason, skylights have been installed in the roof right across the length of the home. Sunlight spills into this space! In this image, we can see how the large bedroom upstairs features high ceilings and a gorgeous balcony area. We can also see what the grey slatted facade that we saw from the outside looks like from inside. It serves to protect the balcony area from prying eyes, while still allowing the inhabitants to enjoy the sunshine, sunbathe, read a book or even have a nap under the clouds. The balcony features large glass doors, which can be pulled back so that the bedroom spills out onto the exterior area. This makes the bedroom seem that much bigger and offers the interior space more ventilation. It's a common feature in many Japanese homes. If you like the idea of a balcony, you'll love this ideabook on catch some sun on these 10 beautiful balconies. We can see that the grey and white tones continue throughout the home, creating a very elegant and sophisticated design. 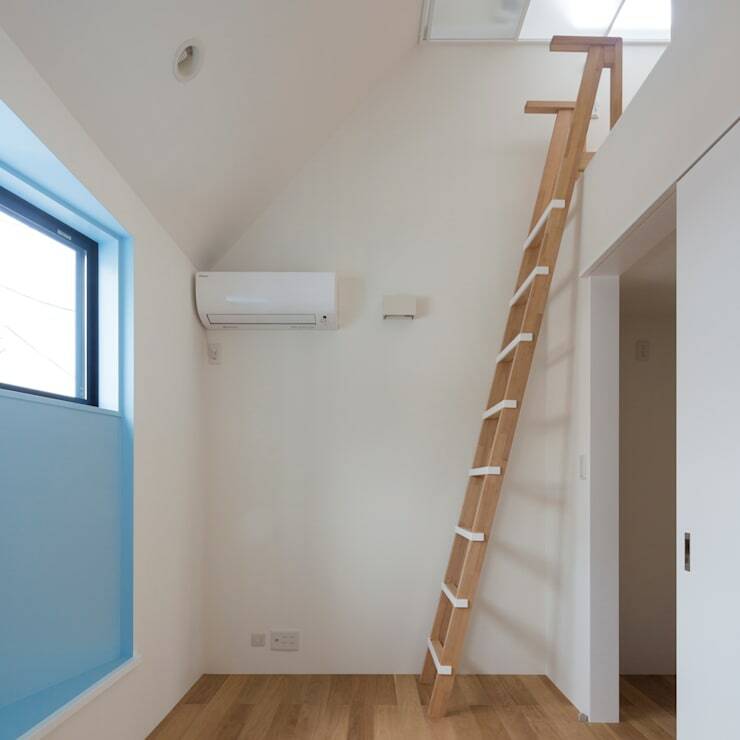 If we head into this side of the home, we can see there is a beautiful little loft area, which can be accessed via a wooden ladder. This is the best way to make the most of a small home! A little loft uses up vertical space and is a great spot for an extra bedroom or a little home office. If you have high ceilings in your home, this is a great design tip. The ladder that leads up to it is also very funky and retro, showing us how functionality can combine with beautiful design . Don't you love the little window alcove, which has been painted blue? Again we are seeing how subtle bursts of colour are introduced to this very simple and sleek home. The bathroom is often overlooked when it comes to design and decor, but it shouldn't be! Your bathroom should be one of the most important rooms in your house to design. 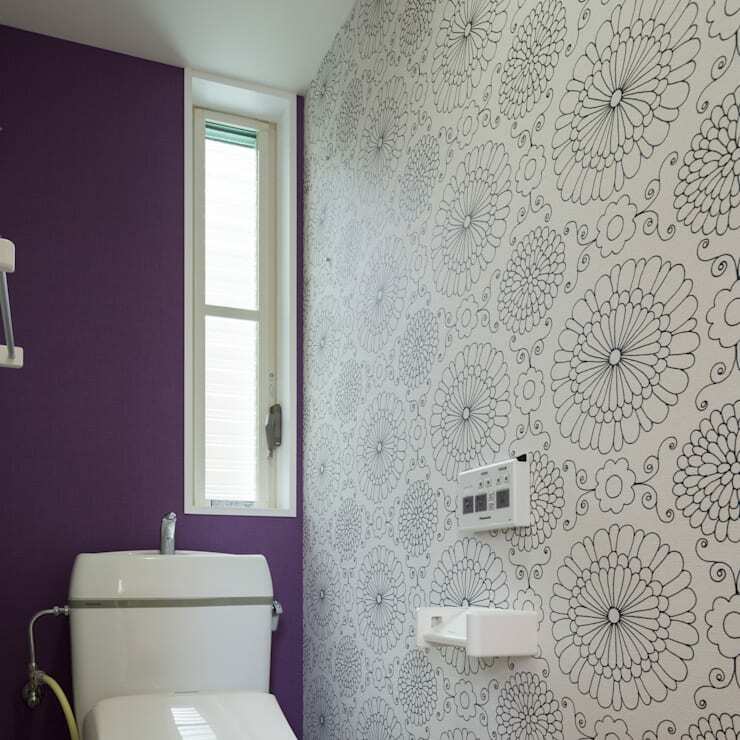 This bathroom is packed with personality and charm thanks to the dark purple introduced into this space as well as the patterned wall. This same look and feel can be easily achieved with some stylish wallpaper or even some vinyl wall art. If we look at the bottom floor from the top, we can see how each space in this home flows into the next. 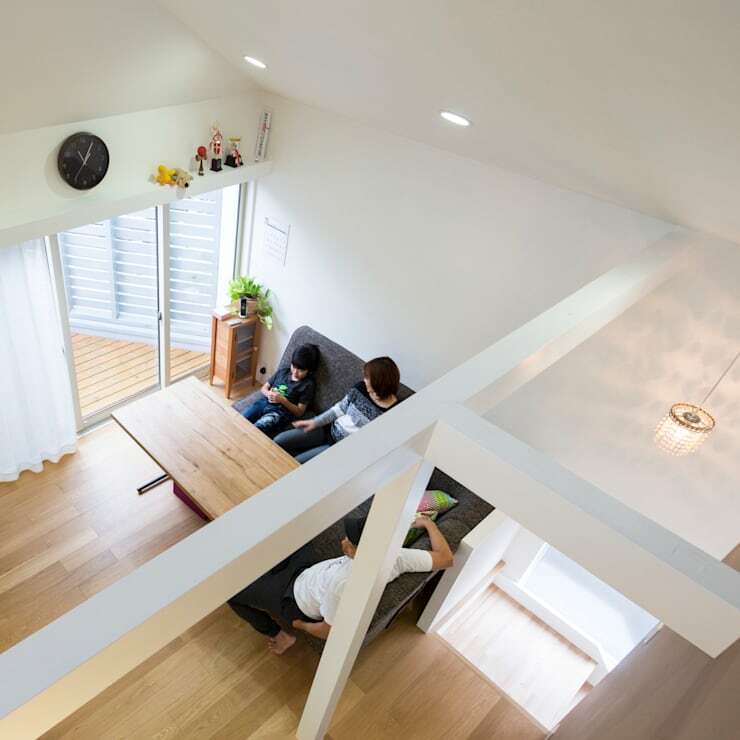 Even though this home is small, it feels spacious, light and bright. The trick when it comes to small homes is to use as little divisions as possible. The more walls you have, the more closed off the house will become. In this image, we can see just how well the designers understand this, ensuring that the home is as open plan as possible. The exposed beams complement the modernity of the entire space. We can also see what an important role lighting plays. At night , when there is no natural light, the house features beautiful lamps and recessed lights in the ceiling, which ensures there is plenty of ambiance! What do you think of this smart, little home?